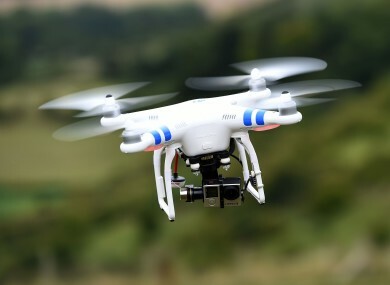 SOUTH DUBLIN COUNTY Council will use drones to tackle illegal dumping in Clondalkin. Responding to a motion put before the Clondalkin area committee meeting this week, the council said that a suite of measures would be used to tackle dumpers. Sinn Féin’s Mark Ward put forward a motion saying that dumping was a “scourge” in the Clondalkin LEA, calling for the use of drones on a pilot basis. Council management agreed that the dumping was as bad as Ward laid out and said that a host of ideas would be used to tackle it. “We are currently examining the potential of emerging technologies to perform the monitoring, recording and retrieval of illegal dumping activities which will assist in the capture and prevention of illegal dumping. Ward said that the council should look at every possible solution and welcomed the plan to use drones. “I have already received assurances from the Council that they will install €35k CCTV in St Cuthberts Park and this will help detect the illegal activity. The use of new technologies such as drones I believe would hinder illegal dumping and lead to more prosecutions. I welcome the fact that the executive of the council are on the same page as me and mirror my sentiments. Email “Drones are going to be used to tackle the 'scourge' of illegal dumping”. Feedback on “Drones are going to be used to tackle the 'scourge' of illegal dumping”.